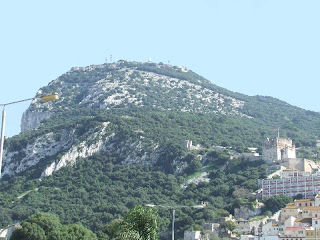 The British military base of Gibraltar has been heavily fortified over a period of many years and the remnants can be seen everywhere. At the base of the rock, 19th century fortifications, such as casemates and bastions have been incorporated into the modern city. 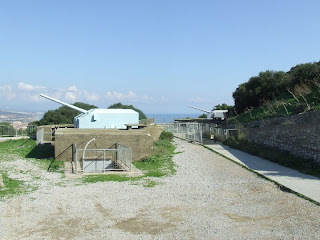 Up in the nature reserve on the rock itself, a large number of 19th century and WW2 gun batteries can be found. 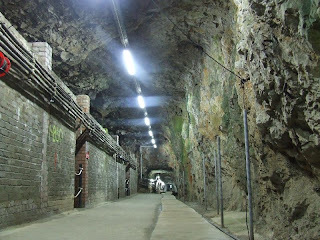 These are supported by a large network of tunnels, some if which are now open as tourist attractions. 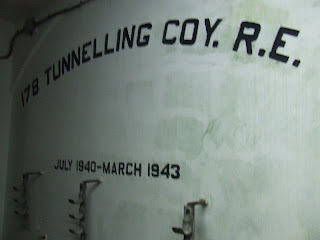 The tunnels featured on this page were largely dug during WW2 and would have been mainly used as barrack accomodation. 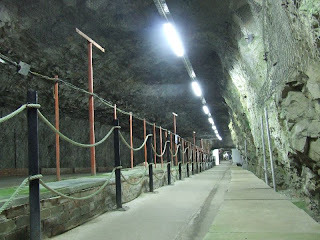 These tunnels along with the Siege Tunnels and many gun batteries on the Rock are open to the public and are well worth visiting. we have loved the tour of ww2 tunnels! do you still have the flyer with their website? Does anyone have a contact number to arrange a tour? You dont need to take a tour. You can go and buy tickets and view a tourist area. Not much of the tunnels are actually lit/safe for public. Also there are many monkeys living on the islands mountain, so dont be surprised if you run into one while searching the tunnels. 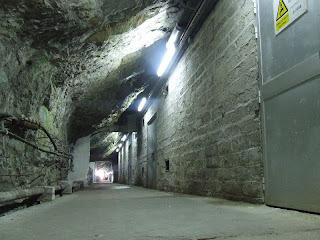 The tunnels mentioned and pictured are only part of a vast system which include hospitals ,power stations ,magazines,water and oil storage,workshops etc .Pitty that the tour does not include these as most of the sites are closed to the public.I am a founding member of the History Society Gibraltar. I think you are mistaken. There is not a free for all with the military tunnels. Those that are not in use and considered dangerous have been sealed up and you can't get in. 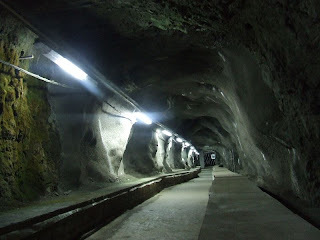 The tunnels that are still in use, you have no access to. Some of the tunnels are open to the public and you only have access on organised and professionally run trips. Virtually all the above tunnels are WW2. 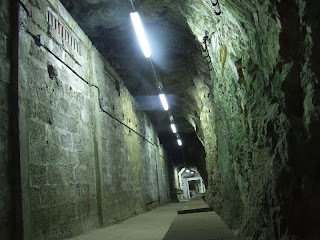 The siege tunnels from the 1700's are accessible after buying a ticket and you can walk around them at your leisure. 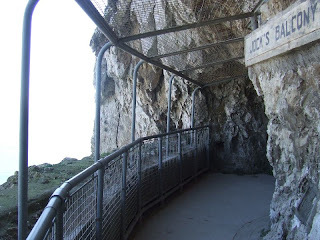 My wife visited Gibraltar and she came home with the impression that the tunnels were still under British control still used and considered top secret. She came away with the impression that people still work in the tunnels for weeks at a time and then come out one week per month for health reasons. I am not sure how she got this impression and she told me that there was a small portion of the tunnels, near the entrance, that could be accessed by tourists. Can anyone verify this as true or not? WW2 tunnels were the property of the MOD until recently. 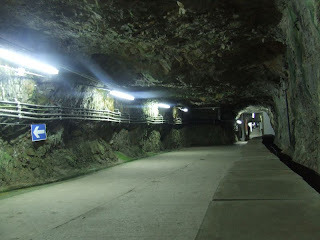 A large portion of the tunnels now belong to the Gibraltar Government. No-one works in the tunnels anymore. There is a small section of the tunnels which still belong the MOD which leads to any area called fossway. 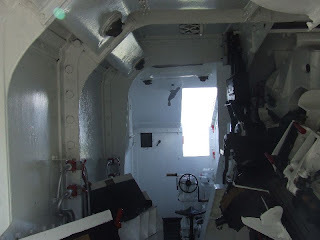 This is where the MOD have ammunition etc. Tours can be booked to see them. 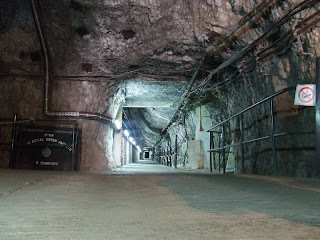 I was in the army and in 2005 we was in the tunnels "stagging on" and that gave us perfect opp to wander around and explore. 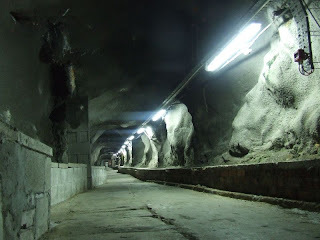 There is a very good reason why tourist can't walk around all the tunnels - it is ridiculously dangerous. I was walking down one spiral staircase and it was pitch black and out of the blue it got really drafty and i stopped for some reason and i waved my torch about and the staircase ended and in front of me was the a massive drop down a cliff - for some reason or erosion the stairway just ended going out of the cliff lol. 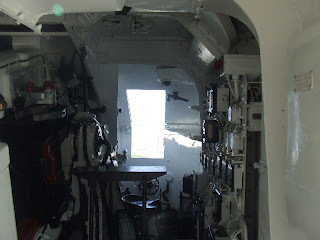 also it is very haunted, the generators used to randomly switch on (even thou they haven't been used since WW2 - some didn't even have any fuel and we was the only one in the tunnels at the time. also the freakishness of the hospital with the beds still made - very freaky place. 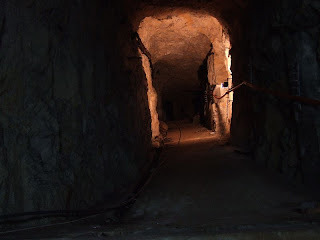 Wandering around in dark unknown tunnels is dangerous ,that is why you need guides and local experts.There are ghosts stories here in Gib like the Royal engineer and his dog, and others ,but I have been around the tunnels for ages and never seen or heard anything. 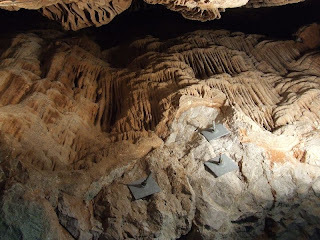 Inside the Rock are some 38 miles of tunnels and hewn-out caverns. 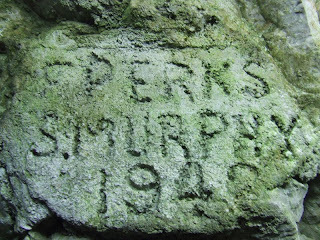 They’ve been there for up to two hundred years. And some of those tunnels house installations crucial to Britain’s global intelligence-gathering capability. These Signal intelligence (SIGINT) facilities form part of Echelon; which links into the so-called ‘Five Eyes’ network. That network connects the surveillance technologies of the UK, the US, Australia, New Zealand, and Canada. There are also sub-stations in addition to the Five Eyes. 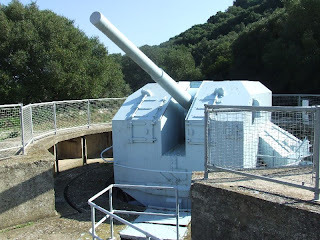 And Gibraltar is one of these (though it’s not listed as a separate eye because it’s essentially part of the UK). It passes the communications and surveillance intelligence data it gathers directly on to Britain’s GCHQ in Cheltenham; and from there to the other Fives Eyes members.